Welcome to our library. Documents have been categorized by subject for your convenience. Click on one of the categories to the left to see the related documents. In most cases, you will need to choose a more specific sub-category to see the related documents. Find what you need using our document search. Try to describe the document you’re looking for the best you can. Guides in these subcategories contain the technical data you need to properly design and specify our products in residential, multifamily and light commercial projects. Choose a sub-category from the left. Not seeing any subcategories? Click here to expand. Next, click the Document to download. Technical Resource Sheet with information needed to prescribe Weyerhaeuser engineered wood products for conventional construction. Design information for TimberStrand LSL, Microllam LVL and Parallam PSL. Design information for TimberStrand LSL, Microllam LVL, and Parallam PSL products in roof applications. A supplement to the Trus Joist Beams, Headers, and Columns Specifier’s Guide with design properties for 2.0E Microllam LVL. Weyerhaeuser Edge Gold panels are tough enough to stand up to weather during construction delays. They start flat, install flat and stay flat, keeping your project on schedule. Les panneaux Weyerhaeuser Edge GoldMC sont suffisamment robustes pour résister aux intempéries lorsqu’il y a des retards dans les travaux de construction. Design information for building walls with TimberStrand LSL and Parallam PSL products. Not for use in California, Nevada, and Arizona. Documents in these subcategories will help you use and install our products correctly and safely. Punjabi version of our installation guide for Trus Joist TJI joists, Microllam LVL, Parallam PSL and TimberStrand LSL products. How to install TJI Joists, Timberstrand LSL, Microllam LVL, and Parallam PSL products. 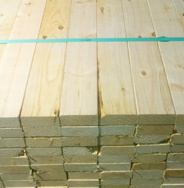 A step-by-step guide to installing a floor using Trus Joist and Weyerhaeuser products. Look here for general product features and how using Weyerhaeuser products can benefit you and your business. S’il y a une chose que nous comprenons bien c’est l’importance des murs droits dans les cuisines et dans les salles de bains. Information showing the country of origin for our structural frame products. When Is The Best Time To Make A House Green? 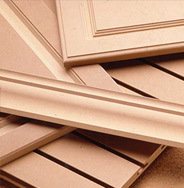 Technical Resource Sheet: General information about formaldehyde emissions and the adhesives used in engineered wood products. Explains the different saw automation technologies available with NextPhase Site Solutions. Guides in these subcategories contain Line Cards, Product Catalogs, and Product Information for Weyerhaeuser Distributed Products. Products offered in the Houston region. Served by the Houston Distribution Center. Products offered in the Dallas region. Served by the Dallas Distribution Center. Products offered at the Tacoma Distribution Center. Products offered in the Southwest region. Served by the Phoenix Distribution Center. Products offered in the Southern California region. Served by the Fontana and Santa Clarita Distribution Centers. Products offered in the Richmond region. Served by the Richmond Distribution Center. Products offered in the Northern California region. Served by the Fresno, Sacramento and Stockton Distribution Centers. Products offered in the North Atlantic region. Served by the Easton Distribution Center. Products offered in the Inter-mountain region. Served by the Salt Lake City Distribution Center. Products offered in the Florida region. Served by the Jacksonville Distribution Center. Products offered by the Denver Distribution Center. Products offered by the Charlotte Distribution Center. Products offered by the Boise Distribution Center. Products offered in the Georgia region. Served by the Atlanta Distribution Center. Products offered at the Albany Distribution Center. Catalog of products offered in Phoenix. Catalog of products offered in Northern California. Products offered in Naperville, Illinois. Served by the Chicago Distribution Center. This catalog contains everything you need to know about the Siding and Trim available at Boise. Frequently asked questions on TJI with Flak Jacket Protection for residential construction. Comparison of TimberStrand LSL, by width, depth and grade, to other beams and headers based on spans. For comparison purposes only. Recommendation on connection of blocking panel on parallel end conditions. How to read a Weyerhaeuser OSB grade stamp. This document addresses some typical questions with regard to this change. Révisions aux propriétés de conception du TimberStrand LSL pour la compression perpendiculaire au fil dans l’orientation à plat, basé sur changements aux procédures d’évaluation pour SCL en Amérique du Nord. Update to approved preservative treaters. Exception that allows Parallam® Plus PSL to have taper cut for balconies. Click “Code Reports” on the left side menu and then click a subcategory to view code reports. Library: Code Reports,ICC Evaluation Service, Inc.
TimberStrand LSL, Microllam LVL, and Parallam PSL Headers and Beams; TimberStrand LSL Rim Board and TJ-Rim Board. © Weyerhaeuser NR Company. All Rights Reserved. Legal Notices. Not all products available in all locations. Contact a local representative for regional product offering.